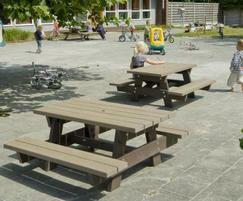 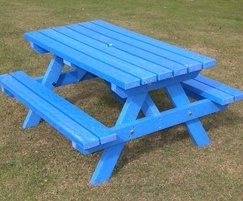 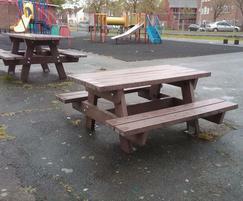 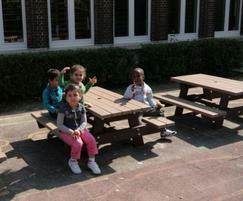 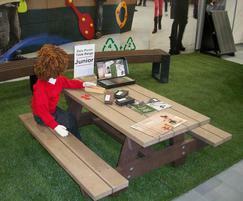 The junior picnic table is ideal for 3-7 year olds and is vandal and graffiti resistant. 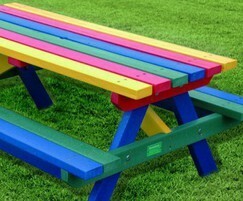 It is made from 95% solid recycled plastic profiles with rounded edges for safety. 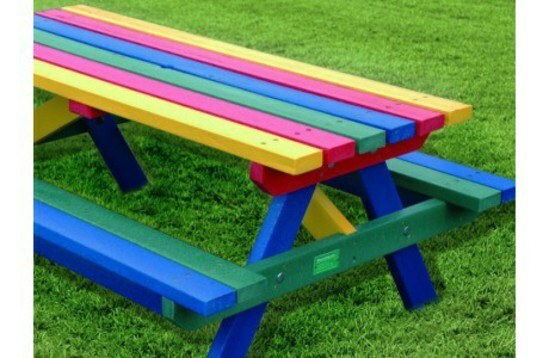 Requiring virtually no maintenance, the recycled plastic profiles will not splinter or rot, thereby providing a long-lasting alternative to traditional materials. 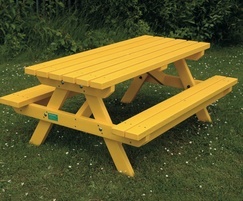 It is accredited TUV to EN1176 and available in black, brown, grey, green or beige.